Ontario-based cannabis firm CannTrust plans to establish a large outdoor grow operation in Canada to provide low-cost production inputs for extraction-based products. CannTrust “believes it will be a leader in outdoor growing capability, which will leverage its proprietary genetics and has the potential to accelerate the company’s low-cost production advantage,” the firm wrote in a regulatory filing alongside its quarterly financial statement. CannTrust has signed two letters of intent to secure 200 acres of land in Canada through purchase and lease arrangements, CEO Peter Aceto said during a conference call with analysts. The location of the properties was not disclosed. CannTrust estimates it will add 100,000-200,000 kilograms (220,462-440,925 pounds) of production in late 2020, which will be used “100%” for extraction. The company expects outdoor yields to be about 1,000 kilograms per acre from one crop per season, though that total may rise. 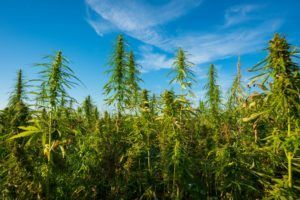 “The capital requirements for outdoor growing are substantially lower than what we would have incurred for any of our greenhouse investments,” Aceto told analysts. CannTrust did not provide capital expenditure expectations. Though Aceto noted the company has a two-prong outdoor strategy, he highlighted one that offers “a higher probability that we could get plants in the ground this spring and get a harvest this year. But we’re not 100% certain about that. Canada’s regulations for marijuana edibles, extracts and topicals will be released later this year, opening the door to a huge new industry. “As demand for cannabis-based products changes with new rules and regulations allowing edibles and other formats of products to be sold, this is a significantly lower-cost way to get cannabinoid content for that market,” Aceto said. “We are exploring beverages as well and have several option in that category, but we don’t have anything concrete,” Aceto said. The company also said it is in the early stages of exploring ointments, creams and confectioneries. As with many other Canadian cannabis companies, international expansion is a key focus for CannTrust. “Of course, the U.S. market is included in that expansion,” Aceto said. CannTrust reported revenue for the fourth quarter ended Dec. 31, 2018, of 16 million Canadian dollars ($12 million), more than double the revenue in the prior-year period. Net loss for the quarter was CA$25.5 million, compared with a profit of CA$6 million a year ago. For the full year, CannTrust had revenue of CA$45 million and a net loss of CA$13.6 million. Cash costs per gram fell to CA$2.94 in 2018 from CA$5.16 compared to the fourth quarter of 2017. CannTrust shares – which trade as CTST on the New York Stock Exchange and as TRST on the Toronto Stock Exchange, respectively – were down 16% in midday trading.